A monster helping of WILD fun! 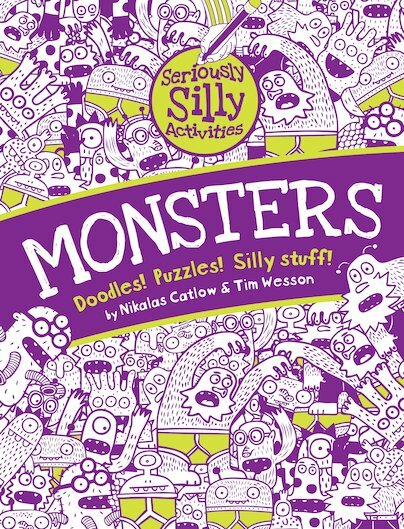 Hairy monsters, three-eyed monsters, scary monsters and pant-wearing monsters – it’s time to get seriously silly with them all! This weird and wonderful activity adventure is bulging with daft doodle ideas and puzzling madness – plus aliens, monsters and freaky creatures of all kinds! There are mazes, word searches, dot-to-dots, comic strips, , crosswords, sudoku, silly stories and much more, not to mention all sorts of truly monstrous antics to indulge in. It’s where being silly gets serious!